Cape Foulwind is home to a fur seal breeding colony accessible by a walking track. 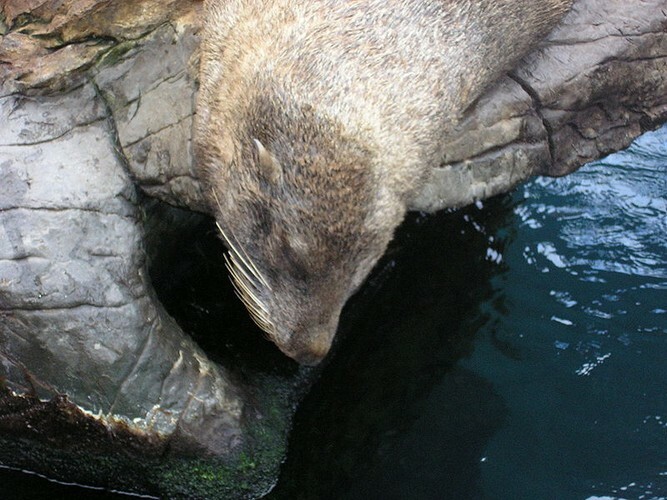 Come along and watch the fur seals swimming amongst the rocks, dozing in the sun and feeding their young. Interpretive panels at the viewing platforms provide information on the activity in the colony, and the seals breeding cycle, as well as historical information about the sealing industry that once existed in New Zealand. Cape Foulwind is a prominent headland on the West Coast of New Zealand's South Island, overlooking the Tasman Sea located ten kilometres west of the town of Westport. Abel Tasman was the first European to sight the cape in 1642 and named it Rocky Cape, it was Captain Cook who later gave it the name Cape Foulwind. Cook's ship the Endeavour was blown well out to sea from this point in a particularly unpleasant patch of weather.